APACA FOCUS GROUPS – FREE COFFEE! Venture into the mysterious world of The Drawing - a choose-your-own-adventure tale where you get to decide what happens on stage. Acclaimed artists Natalie Rose, Chris Dunstan, Clare Britton and James Brown have been working with kids from Greater Western Sydney and the Shopfront Junior Ensemble through a series of workshops in 2014 to create this unique and exciting family theatre performance. 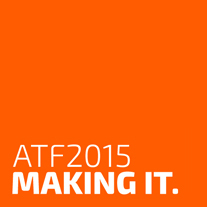 Blacktown Arts Centre are offering ATF Delegates a special offer to attend – $15 per ticket, or 5 for $50. The Management Committee of Theatre Network NSW has announced the appointment of Jane Kreis as the inaugural Director of TNN, the recently established support, networking and advocacy organisation dedicated to the NSW theatre sector. All welcome - RSVP now closed. Jane Kreis has an extensive history in theatre and executive management and comes to the Network fresh from 5 years as Executive Officer and Regional Arts Development Officer of Arts North West. Dowload the full TNN Media Release. BILLETING – DO YOU HAVE A SPARE ROOM? If you are one of our Sydney based delegates, we are still seeking a bed or a room for a couple of out-of-towners. Contact Simon Wellington.